The hospice is based in Loughborough, Leicestershire, but we also offer outreach services to those in our catchment area, which includes Leicestershire, Nottinghamshire, Derbyshire, Rutland, Lincolnshire (predominantly the south) and Northamptonshire (predominantly the North). The charity was founded in 1994 by Harry and Gail Moore, whose daughter, Laura, died of Leukaemia in 1989. Laura's favourite thing in the world was a rainbow. Rainbows was officially opened in April 1995 by HRH Prince of Wales. Children and young people with life-limiting illnesses from birth to 30 years of age, as well as their families. How many children and young people are supported by Rainbows at present? We are currently supporting over 400 children and young people, although this is a fluctuating figure. We are also supporting their siblings and bereaved families. Rainbows aims to meet all the physical, emotional, social and spiritual needs of life-limited children and young people, as well as their families. Care is provided by a team of specialists from a wide range of professional disciplines who work closely with each other, and with others involved in supporting the family. We provide support in the hospice and at home. 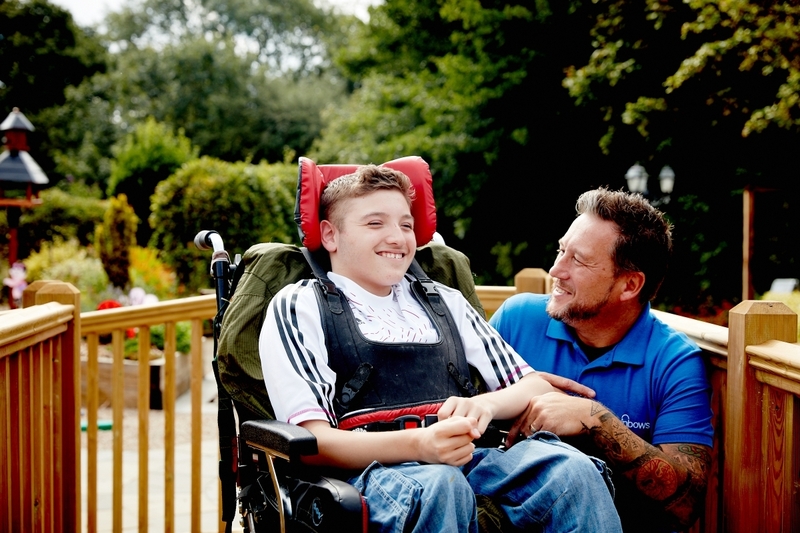 Palliative care for children and young people with life-limiting conditions includes the management of distressing symptoms, provision of short breaks and care through death and bereavement. Is Rainbows a sad place? Rainbows can be a sad place but we like to consider ourselves as a positive place, for living and enriching lives. The hospice helps children and young people reach their full potential and get the most out of their short lives. 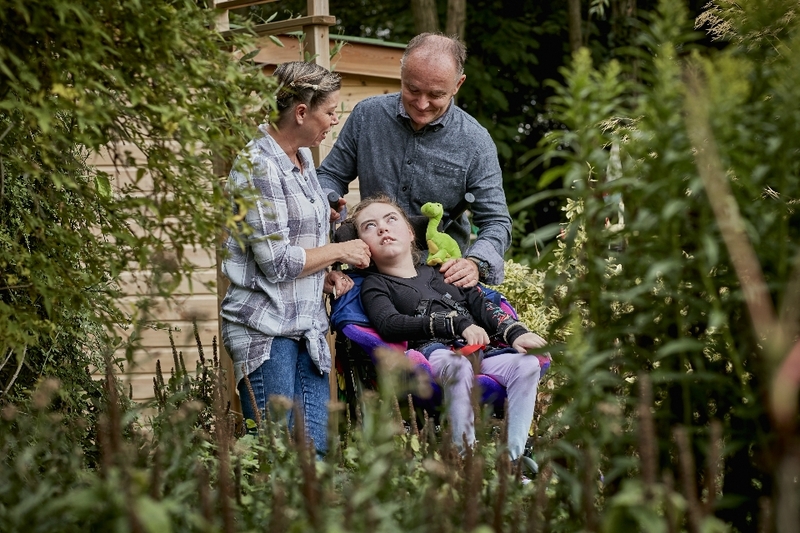 Rainbows provides care to children and young people who have life-limiting illnesses, which means they are unlikely to live far into adulthood. Anyone can refer a child or young person including the family themselves. This can be done by following this link or by contacting Rainbows on 01509 638000. How many nights of short break stays does Rainbows offer? We offer 16 nights per child per year plus emergency admissions on a case by case basis as required on top of that. How many bedrooms does Rainbows have? We have 14 bedrooms, which includes two quiet rooms in our bereavement suite. How long can a child and family receive care for? Rainbows offers care and support from the moment of diagnosis through to end of life care. This can be hours or years depending on the condition. We also provide care to families and friends after death through specialist bereavement support. How many staff work at Rainbows? 167 full and part time staff and 353 volunteers. How much does it cost to run Rainbows? The running of the whole charity is £6m each year. Only a small amount of our funding comes from local and national Government. We are reliant on the support and donations we receive from the people, businesses and organisations of the East Midlands. Without their help, we would simply not be able to open our doors. We are grateful for all the support we receive and we work hard to show people the difference their support makes. The Care Quality Commission inspect and regulate the care and services we provide at Rainbows.